A day late and a BIG Winner!! 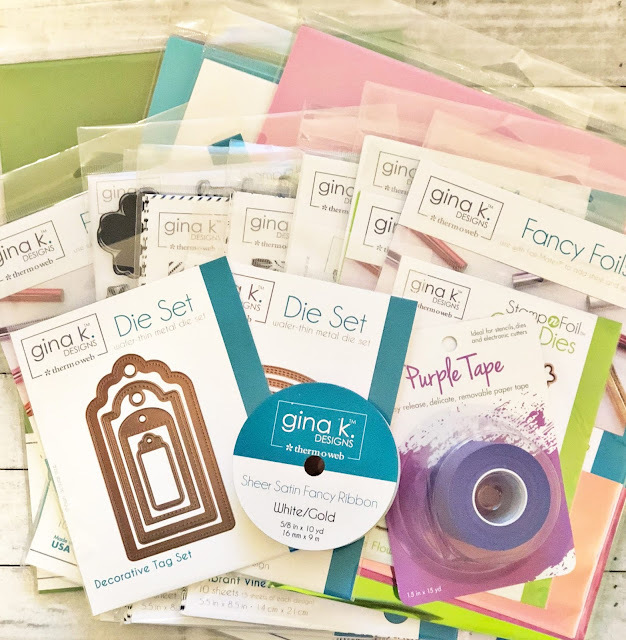 So sorry for the delay but we are now announcing the winner of the fabulous Gina K Designs Foil Mates prize pack!!! WOOO HOOO!!! Congratulations Amy!!! Be sure to check your email for happy mail! Stay tuned for the next review on the Stamp n Foil. Spoiler alert: SOOOOOOO cool and addicting! Big congrats to Amy! What a great prize!! YAY! Thanks so much! I can't wait to play! I just received the enormous prize pack...it's absolutely awesome and I've given it a try, WOW! Love how the foil-mates work with the fancy foils! Can't wait to try everything out! Thank you again!!!! !